Just for fun, ask this question to a group of church leaders: “Is an attractional model of ministry or incarnational emphasis more effective?” Then sit back, as a vigorous discussion is sure to follow. Attractional ministry implies that the church’s basic strategy for reaching the lost revolves around getting “seekers” or the “unchurched” into the church building. Once inside, the opportunity to present the gospel defines the primary opportunity for evangelism. This is often known as an “invest and invite” approach. 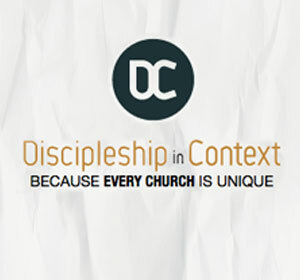 In contrast, the incarnational emphasis of a missional mindset focuses on living and sharing the gospel “where life happens.” The emphasis is placed on the church “disassembling” itself for the primary work of evangelism in the nooks and crannies of everyday life. In the attractional mode, big church buildings are important, and the church gathered is the consummation of evangelism. In the incarnational mode, fluid and flexible communities of faith are important; the church scattered is the consummation of evangelism. A common rally-cry against the attractional model is that the church should be measured by its sending capacity, not its seating capacity. The missional reorientation described above represents an important shift in focus from methodology to identity. Sending is not something you do, but being sent is something you are. The burgeoning missional church movement is a sign that believers are increasingly feeling the call to impact their communities, which is a good thing. But, says Alan J. Roxburgh, these conversations still prioritize church success over mission–how can being missional grow my church? But to focus on such questions misses the point. In Missional, Roxburgh calls Christians to reenter their neighborhoods and communities to discover what the Spirit is doing there–to start with God’s mission. He then encourages readers to shape their local churches around that mission. With inspiring true stories and a solid biblical base, Missional is a book that will change lives and communities as its message is lived out. The idea of the missional church has singlehandedly captured the imagination of church leaders of all backgrounds and denominations. Essentially, it is a way of thinking that challenges the church to re-form and re-forge its self-understanding so that it can relearn how to live and proclaim the gospel in the world. Church is not something you do or a place you go to, but what you are. This in turn helps moves the idea of being on mission from something we do – church-inspired and project-oriented – to something we embody – personally inspired and life-oriented. At the risk of becoming cliché, author Alan Roxburgh dares to put the church in its place – literally. Roxburgh invites us to relocate the center of missional life from churches to the neighborhood. The real challenge we face is how to transform the imagination of our leaders for them to see it’s not about getting their churches filled; it’s about joining with what God is doing in the world. There is no simple, painless method of change. The risks involved in practicing Luke 10 are high; the story is full of warnings about this all along the way. Those late-first-century Gentile Christians were being challenged to let go of a deeply entrenched imagination and trust that God was up to something radically outside anything they had come to expect. Here are a series of proposals for taking that same journey. Go Local – the focus of a local church and its leaders needs to be in reconnecting and reentering the neighborhood. Leave your baggage at home – the local church needs to learn together how to become like “strangers” who receive the hospitality of the people in the community. Don’t move from house to house – settle into the neighborhood, bloom where you are planted, and stop imagining there is a better place. Eat what is set before you – indicates our readiness to enter into the world of the other on his or her terms rather than our own. Become poets of the ordinary – enter the stories and hear the music of the other in ways we could never do if we relied on programs or formulas. Move the static into the unpredictable – an art that involves listening well to a congregation to hear the Spirit-created desires people have to disrupt the static. Listen people into speech – creating spaces where people can give voice to their anxieties, hopes, and fears. Experiment around the edges – empower people to imagine alternatives or do their own work of discovery through experimenting. Cultivate experiments, not BHAGS – resist the temptation to come up with something really big, and cultivate simple, small experiments. Repeat one through nine over and over again – real change in the culture of the local church takes place as we practice these simple rules as ways of life. An important part of joining God in mission in your neighborhood is learning to see again with fresh eyes. How might you learn to see your neighborhood through God’s eyes? Dwell in the Word around Luke 10:1-12 on a recurring basis. Without asking anyone, can I list the first and last names of the people who live beside, in front of, or behind me? What can I describe about their lives that can only be known by someone who has been inside their home? What are some of the God-shaping longings and/or questions that currently shape their lives? Share with each other what your neighbors have been discovering in some of their walking around the neighborhood. Share some “first” stories about the neighborhood. 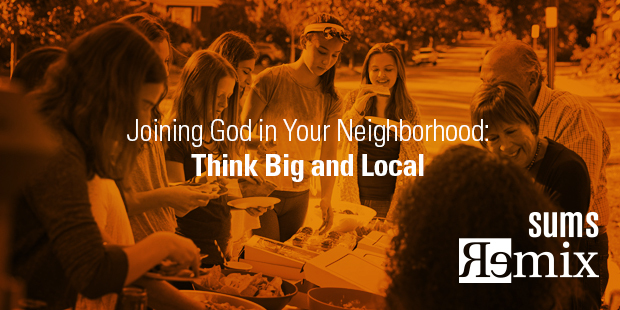 Practice naming what you believe God might be up to in your neighborhood.